Now-a-days, big problem in our houses are to refill the cylinder in time. This problem can be overcome by our machine. In fact, most of the time people handover old cylinder to the delivery men without knowing the exact quantity of the gas left in it. 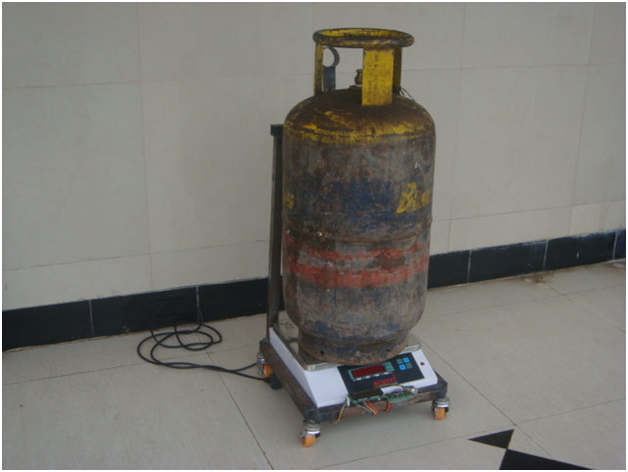 A Smart Gas cylinder machine is used to sort out all your problems associated with gas cylinder. 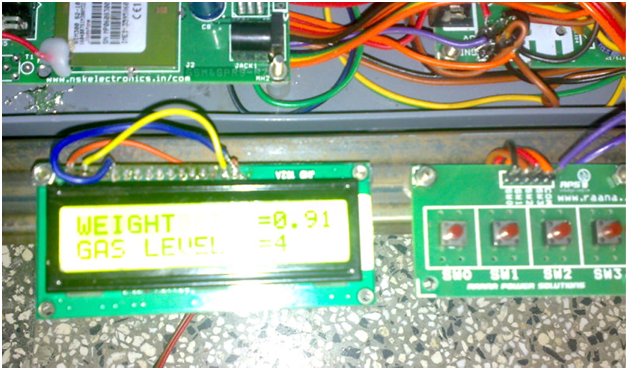 It will inform you through buzzer and SMS, gas leakage if any in the cylinder. SMS can be sent to the user as well as gas refilling agency when the gas level reaches below the threshold limit of gas around 2 kg so that the user can replace the old cylinder with new in time. 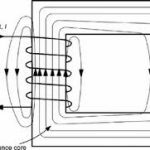 If gas leakage is detected it will send SMS and immediately turn off the power supply which is most dangers for producing the spark leads to gas cylinder blast and also it is indicated by buzzer to prevent fire accident. As the lifting of gas cylinder is difficult, our machine has been provided with a wheel for easy transportation. fire accidents and its death are quite normal in our life. 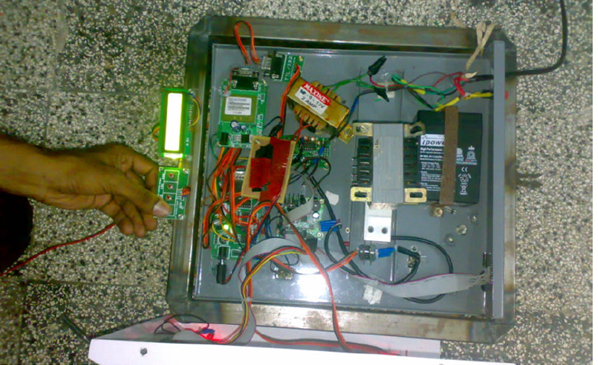 “a smart gas cylinder machine” designed by Prof. Moorhy Selvakumaran to address all the problems associated with the gas cylinder usage. 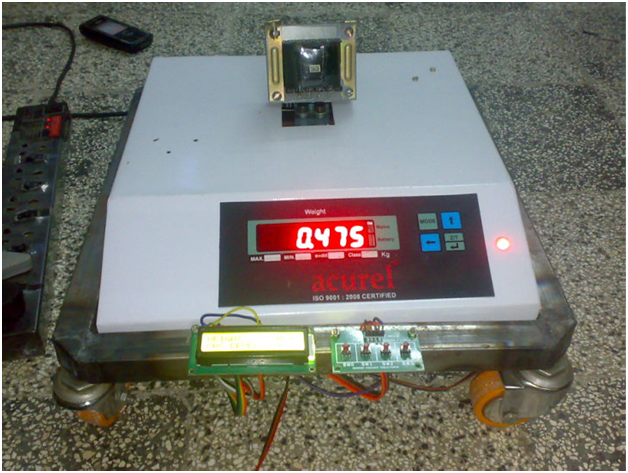 This machine has four functional parts namely rotating wheels for easy lifting, weighting machine to display available gas weight & send SMS to book for gas refilling if below 2 kg gas weight, gas leakage sensor to inform customer through buzzer and SMS about the gas leakage and finally if any gas leakage, machine has to shut down power supply through zigbee technology immediately to avoid the gas cylinder blast. 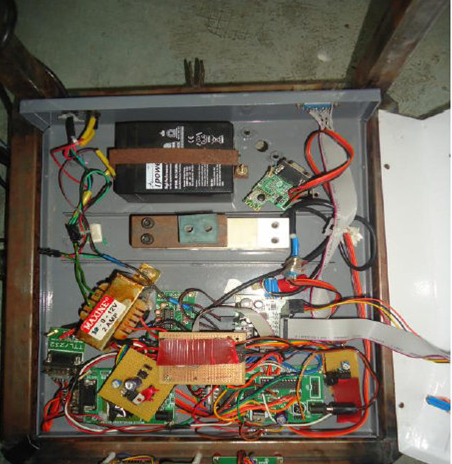 will ensure 100% safety to the customer and not give up any electrical sparks to the unwanted incidents while in usage. Prof. Moorthy Selvakumaran has replied about his new product that we have applied for getting Intellectual Property Rights i.e. patent for this new product. Professor further explained that this kind of activities among the final year Engineering students will change the mind set as an employer instead of looking for a job as an employee. As per our former president Dr ABJ Abdul Kalam vision 2020, our students are to be job generators but not job seekers. Sri Selvakumaran Industries, Erode has agreed to manufacture the same product named as “Gas machine” with the cost of Rs.4000/- for the poor people in our country. If government will subsidy, the product cost will come down to Rs.2000/- for the benefit of poor families. We are discussing with oil companies like Indane and Bharat to validate our new product and recommend the central agencies to offer amount of subside for making product with lesser price to sellout to the many people. Principal Message: faculty members have to motivate the students to do such a new innovation at the student’s level itself. Indian financial side has to improve through export of such an innovative product to the other countries. consumers often face trouble to find new cylinder, this instrument was designed to inform the users in advance the quantity of gas left in the cylinder, so that they could arrange new cylinder before the old one is exhausted .The instrument can inform the consumers when the gas in the cylinder is not more than two kg. Normally cylinder is returned to agency man every month without knowing the exact amount of gas left in the cylinder .This machine will save this wastage. ”According to experts, the weight of empty cylinder around 20 kg. Normally 14.2 kg gas is filled into it. Thus the total weight is around 34kg. The cylinder is kept on a machine. When total weight comes down to 22.2 kg that means only 2 kg gas is left. At this point gives an alarm beep. 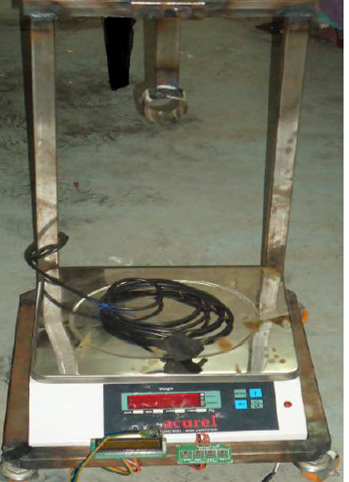 The two identical frames of this weighing machine are made of 40 x 25 meters square rectangle mild steel tube of 1 mm gauge. The rods act as sliding support for the top fame. There are four wheels for smooth sliding. Bharat Gas SMS booking facility is available only for the Bharat Gas customers in all metro cities like Delhi, Hyderabad, Bangalore, Pune, Chennai etc and all state capitals. First need to register mobile number by registering online or by sending an SMS. 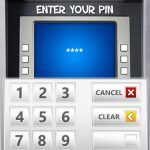 Code .After register, you will receive an SMS confirming the registration. Here is how to make the Bharat gas refill booking through SMS. For Bharat gas Refill Booking send an SMS Typing LPG and send to 57333.When book for refill cylinder, receive an SMS confirming the Booking of refill cylinder with booking reference number. When the cylinder is delivered, receive an SMS confirming the delivery of the refill cylinder with delivery date.